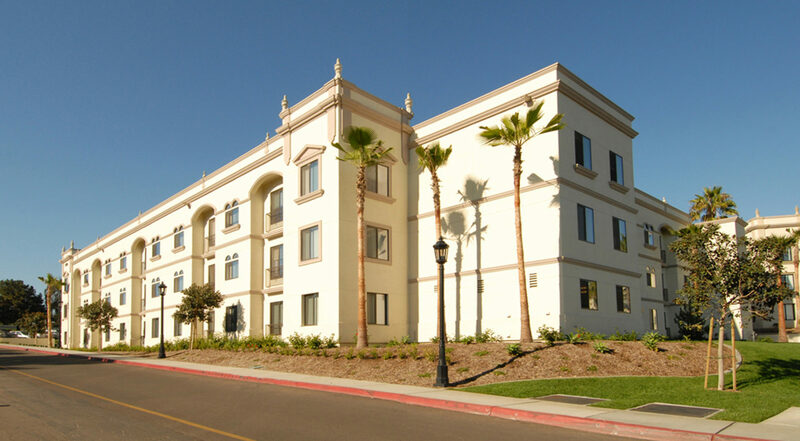 Alcala Vista Residence Hall at University of San Diego is a 3-story wood framed structure with 132 beds. Designed to fit within the campus architectural guidelines, this residence hall provides students with a variety of high technology amenities. 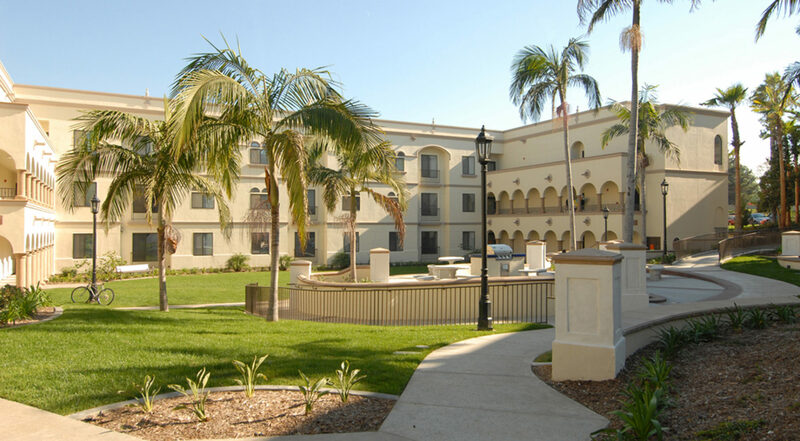 This project was completed as a component of the USD Student housing complex. Containing 36 apartments, 6 – one bedroom and 30 – two bedroom units, the wood-framed structure was built on post-tensioned slab on grade with caissons extending down 70 feet. 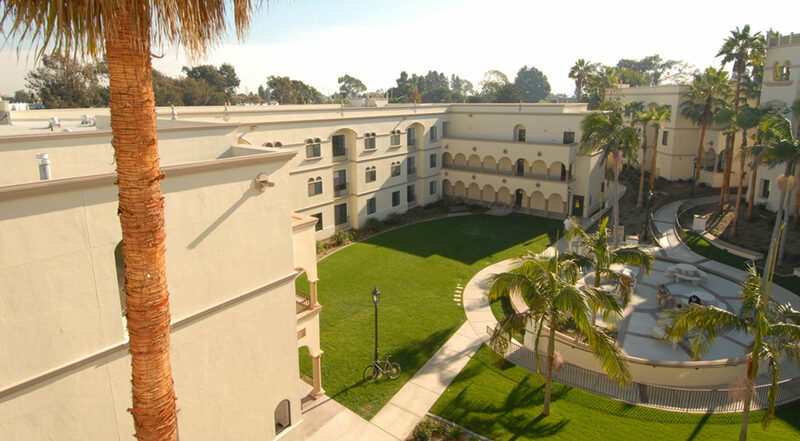 The University of San Diego campus is renowned for its own photogenic qualities and the building had to meet rigorous quality and design standards. This project was completed in 7 1/2 months.